« New Star Wars Battlefront Game, Living Up To The Hype? Looking for an Anker mouse review? Well look no further because the mouse that I’m about to mention has some of the top level precision options for the lowest cost. This mouse was definitely built with gamers in mind. With over 8000 DPI and 1000 Hz polling rate you’re basically guaranteed an amazing, precise experience with this pc gaming mouse, especially for its current price point! Anker truly has delivered in quality with this gaming mouse, that’s for certain. 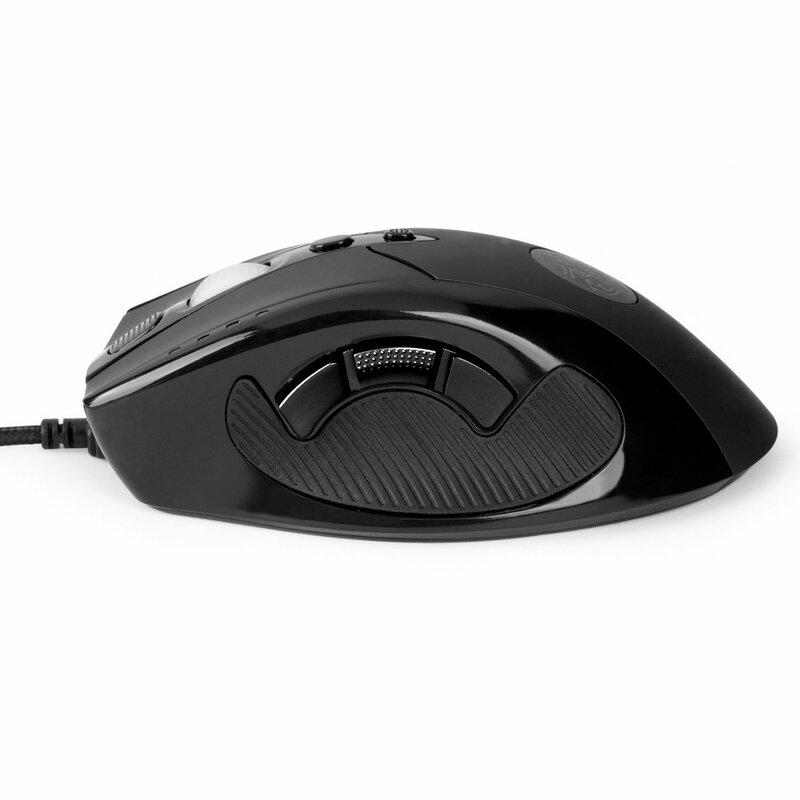 There are even some reviewers that are saying that they will no longer be purchasing mouse products from Razer if Anker keeps releasing top notch products like this one here. Take a look at some of the reviews on Amazon! The feedback is astounding! Reviews are great because they can give you a deeper understanding of something, especially when the reviews come directly from Amazon. Anker also has other computer mouse products but they aren’t nearly as high quality and precise as this one. However, if you want to see other products that Anker created then you can click here to see more of them! The high amounts of good feedback gives good reputation for Anker but what are the specs behind this beauty of a mouse? What’s So Special About This Mouse? So what is so great and majestic about the Anker mouse? My favorite features about this mouse is the way the buttons are setup, the fact that it has a max DPI setting of 8200 and the 16 million different logo color options that you can choose from. DPI is extremely important for precision gaming and a high DPI setting like that is going to setup gamers optimally that have a HD screen resolution on their monitor. 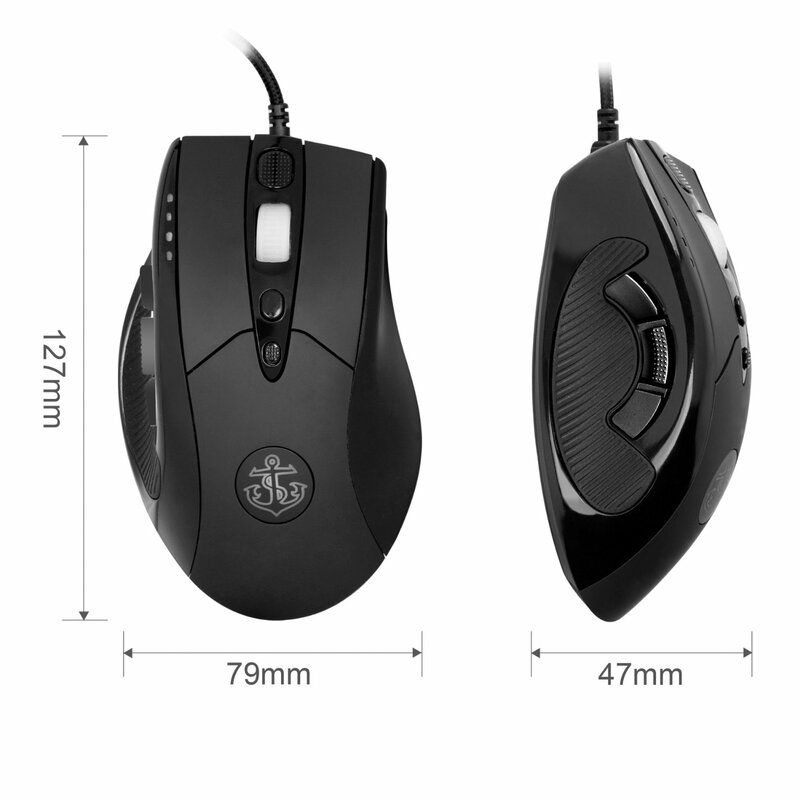 Gaming mice these days need a higher DPI setting available because most PC gamers have a high resolution screen and when you’re able to set up your gaming mouse to hit more dots per inch on a screen with a bunch of pixels then you’ve got yourself a super precise mouse. That’s exactly what this Anker gaming mouse delivers on. Another amazing feature that’s included with the mouse is the ability to customize the logo color. They have some preset colors to choose from but you can also get into a color wheel and customize the color yourself giving a total number of 16 million different color choices for the logo. Pretty neat, right? Unfortunately this does not change the color of the scroll wheel or the DPI setting LEDs which in my opinion isn’t really that big of a deal but it would have been nice to be able to customize each color that illuminates off of the mouse. More companies need to focus on these customization features, that’s for sure! 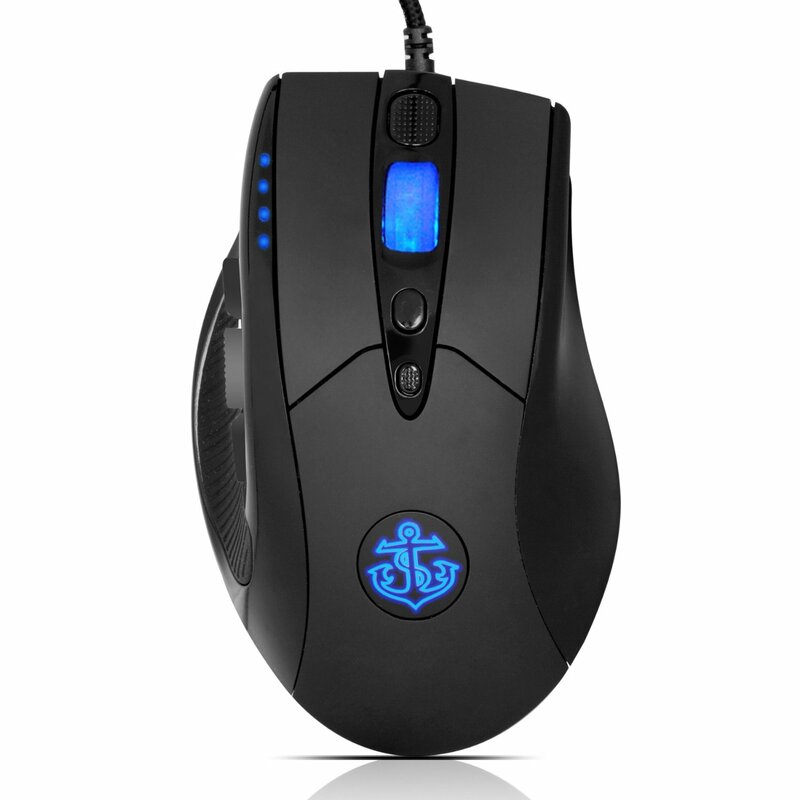 This mouse has 9 buttons on it which are 100% customizable. If you want a certain button to do something else then know that you have the freedom to do so with this mouse and the software that it comes with. There are three buttons for the thumb, the left and right mouse clicks, the scroll wheel button and then there are also three buttons on top of the mouse by the scroll wheel, all of which are completely customizable. The top buttons near the scroll wheel are set by default to change between the different DPI settings. You can switch between 4 different DPI settings depending on the game that you’re playing if you feel like switching it up. The other buttons by the scroll wheel just act as normal buttons and you can set them to any hot key in any game that you see fit. Same goes for any macros you might want to set for your desktop. Another great feature is the ability to switch out weights in and out of your mouse. This feature is mainly in more expensive gaming mice which can cost $60+ so kudos to Anker for involving this feature for this mouse at this price! The weight tuning system is made of 8 pieces and once you tinker around with the different tunings then you’ll know whether you’d like a heavy mouse or a light mouse better. Personally, I like to have it balanced between both heavy and light! 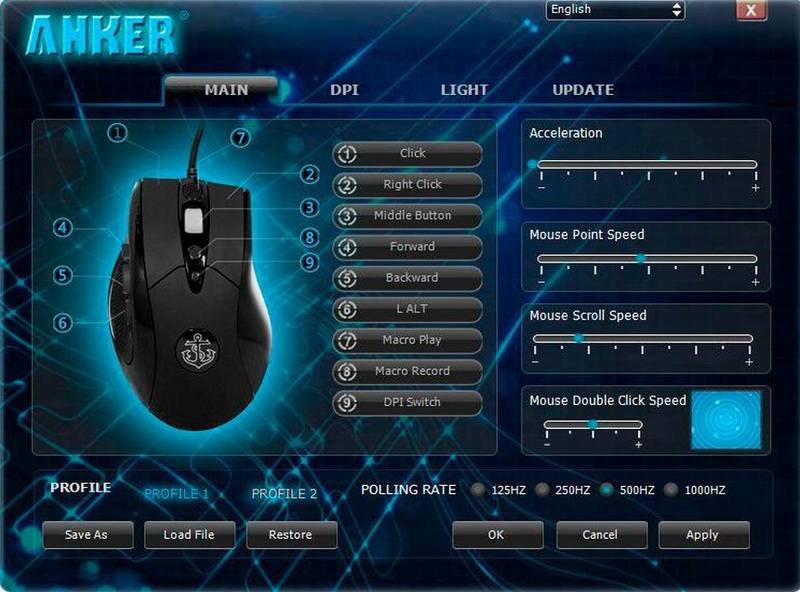 The software of this Anker gaming mouse allows you to take full control of the mouse by allowing you to have the freedom of customization. Everything from DPI, LED colors, polling rates and macro button sets. You’ve got it all with their software! Software is great for mice because it allows the user to setup the mouse exactly how they see fit that way they can set themselves up for an optimal computing experience. This software is pretty detailed and the interface is very well put together so you won’t feel lost using it! In the main tab you’re able to set your acceleration, mouse point speed, mouse scroll speed and your mouse double click speed as well. In the DPI tab you can switch between all of the different DPI settings and set them to whichever DPI profile that you’d like. The light tab allows you to change the color of the Anker logo on the mouse. The update tab allows you to get the latest drivers for the mouse so that your experience is kept at a high level. Everything about this mouse is top notch and Anker is really pushing to the limits and competing very well with the top dogs in this market such as Razer and Logitech. I’m very excited for everything that this company is going to do especially for the PC gaming area! Who knows, maybe they’ll come out with a gaming keyboard as well! 🙂 Stay tuned for a review of it if they ever do decide to release one! So what do you guys think of my Anker mouse review? Is this mouse one of the best precision mice made? Tagged best wireless computer gaming mouse, computer gaming mouse, pc gaming mouse, wireless pc gaming mouse. Bookmark the permalink. Ha ha, I remember breaking a mouse in frustration a few years back when it was impossible to get a gaming mouse (at least it was where I come from). I think I was playing Red Alert (great old classic) and the mouse just would not respond fast enough. One good slam finished it. Thank God or whoever for companies like Anker who give us a better gaming experience. Anker is definitely starting to come out with some high quality stuff, it’ll be cool to see where they go with their brand! Holy smokes thats a crazy looking mouse! how does it have 16 million logo colors? Is that possible? So, i just went to the Anker website and they have some keyboards there, i was just wondering if you wanted to check them out. However, they’re near the bottom of a swarm of iPad keyboards. Could you do a review on one soon? Care to link one to me?